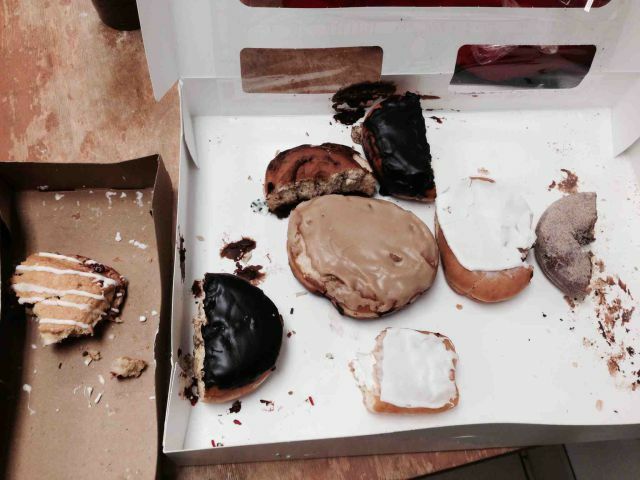 This is what happens when someone brings in donuts and you work with many females. good idea. instead of wasting food or overeating, take what you need and leave the other half.